As is one of the most versatile systems of its kind, NetHelpDesk fulfils applications far beyond just IT. Many schools, colleges, and universities already harness it for any number of purposes. Operating from a single central portal, the system allows users to access NetHelpDesk's active directory from any location, making it the ideal platform for multi-campus sites and enabling comprehensive management of both facilities and admissions alike. Its time management system can be used to manage booking schedules for rooms, resources, and equipment, which can then be integrated with personal calendars, along with memos and other communique to keep the whole team in the loop – a feature few other systems offer. 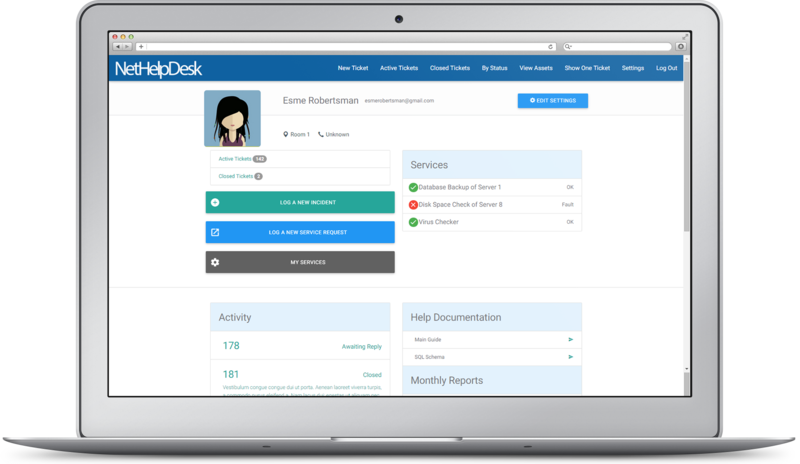 With superb project management functionality, extensive one-click reporting, and customisable dashboards, users at every level can get the most out of NetHelpDesk. And with full-featured mobile apps available for use on the move or in the classroom, there's no better helpdesk solution for the education sector. NetHelpDesk easily syncs with your Active Directory structure for a smooth initial installation. The software then adapts, updates, and regularly syncs all data to maintain consistency of information across the network. All users can access multiple dashboards and databases through a single unified portal. Administrators can allocate predetermined access levels for all end users relevant to their position and seniority – all of whom access the system via the same portal. NetHelpDesk's powerful booking and calendar module allows you to authorise usage of teaching spaces and resources, along with scheduling classes and workshops, and tracking timings of equipment loans. Keep track of stock levels on paper, exercise books, and other consumable equipment, and easily order replacements. Monitor usage levels and schedule regular re-ordering to maintain a consistent supply of materials. Integrate with Sage and other accounting applications to easily access and share purchase orders from multiple departments. Securely track payment information for any number of suppliers and keep all transactions to schedule. Ease workflows for all users with a unified solution capable of functioning effortlessly across multiple sites. NetHelpDesk provides the same exceptional level of support for both on-premise staff and remote workers, making seamless operation a reality. NetHelpDesk has an extensive range of features that are all displayed on intuitive, user-friendly screens.